Are you ready to experience the journey of a lifetime? 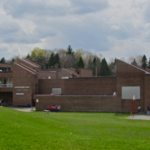 The Eastern Townships School Board (ETSB) ensures that critical skills in languages (English and French), mathematics, science and technology are developed. We also provide free access to cutting-edge technology within our schools. Our curriculum is ranked amongst the top-10 world-wide, according to the Program for International Student Assessment (PISA). Our three high schools offer a wide range of programs (full or half year), designed for your specific needs and interests. We offer concentrations in sports, fine arts, drama, music, dance and science, as well as outdoor education and leadership options that challenge you to achieve your full potential, academically, physically and socially. Our professional centres also offer a variety of bilingual vocational programs, varying in length for 8-16 months. These include: Accounting, Computer Graphics, Food and Beverage Service, Industrial Construction and Maintenance Mechanics, Machining Techniques, Professional Cooking, Sales and Representation, Secretarial Studies and Welding and Fitting. Our schools and centres are well equipped with facilities that include gymnasiums and sports arenas, libraries, auditoriums, full-service cafeterias and specialized rooms, such as laboratories, multi-media rooms, woodworking, welding, mechanics and printing facilities, art & music rooms, cooking amenities, etc. Our students are provided with hands-on learning opportunities through a socio-constructivist approach, where teachers guide you in developing 21st century skills, thus promoting creativity and critical thinking through research, communication and collaboration. You may click on the picture of each school below to access its respective website. Beautiful campus shared with a Francophone district, offering a wide variety of concentrations courses, including Science, Dance and Outdoor Education/Leadership. The richness of a small rural setting is yours to explore at Richmond Regional. This is a community-based school that offers an array of academic and extra-curricular activities. Regular and Individualized programs in Accounting, Maching, Sales and Representation, Secreterial Studies & Welding and Fitting. Optional English and French Second Language classes can be integrated within your schedule. 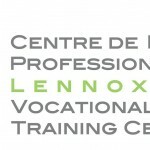 This dynamic centre offers bilingual programs in Computer Graphics, Food and Beverage Service, Industrial Construction and Maintenance Mechanics, Machining Techniques, Professional Cooking, and Welding and Fitting.